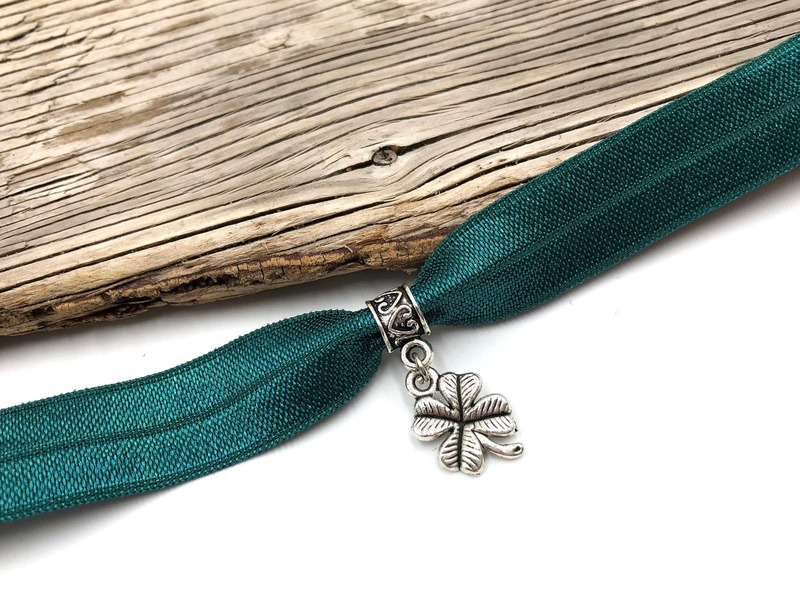 This comfy emerald green elastic choker is the perfect St. Patty's day accessory. Measures 11 inches with a 4 inch extender chain. Custom sizing available upon request.